The Staff Selection Commission (SSC) conducts the Combined Graduate Level (CGL) Tier-I examination for recruitment to various Group B and Group C posts in various Ministries/ Departments/ Organisations. This book has been designed to help aspirants preparing for SSC Combined Graduate Level Tier-I Recruitment Examination 2017. 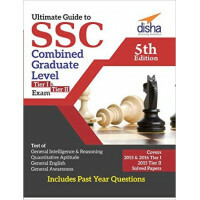 The master study guide book for SSC Combined Graduate Level Tier-I Recruitment Examination 2017 has been divided into four parts namely – General Awareness, Quantitative Aptitude, General Intelligence and Reasoning and General English, each subdivided into number of individual chapters as per the current examination pattern. The General Awareness section covers history of India, geography, polity, economics, general science, environment and ecology, information technology and miscellaneous whereas the General Intelligence and Reasoning section covers both verbal and non-verbal reasoning. The Quantitative Aptitude section covers LCM and HCF, Fractions, Surds and Indices, Simplification, Average, Ratio and Proportion, Percentage, Time and Work, Algebra, Partnership, etc. whereas the General English section covers basics of English Grammar and Comprehension. 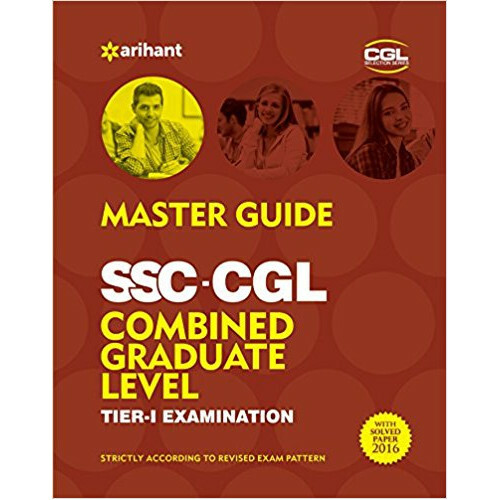 Each chapter covered in the book contains ample number of solved problems which have been designed on the lines of questions asked in previous years’ SSC CGL Tier-I Examination. The solved problems provided in the book will not only help in practicing but also in comprehensive study and understanding of the concepts on which the questions are based. Also unsolved practice exercises have been provided at the end of each paragraph to help aspirants practice for the upcoming recruitment examination. 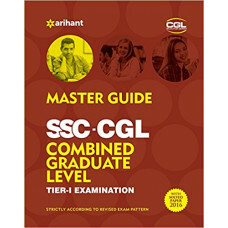 The book also contains last 2015 and 2016<a name="_Go Back">Solved Papers SSC CGL Tier-I Examinations which will help aspirants get an insight into the recent examination pattern and the types of questions asked therein. 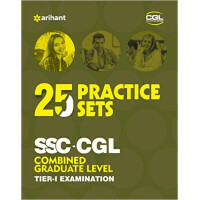 As the book has been designed strictly according to the revised exam pattern of SSC Combined Graduate Level Tier-I Recruitment Examination and contains ample study and practice material, it for sure will serve as a Master Guide for the upcoming SSC Combined Graduate Level (CGL) Tier-I Examination 2017.